Tucked off on Rose St is a lovely and cosy bar called Element. With tartan interiors, cosy lighting and a Scottish menu it's quite the place to escape from the bustling shopping streets for a bite to eat and a drink. I was invited to come and try their spring menu so I went along with my friend Sarah on Wednesday night to try it out. We absolutely loved the decor which we admired whilst we siped on 'Fairytale of New York' cocktails and talked about our plans for the next year. The menu has some lovely choices but we knew almost straight away what we wanted. 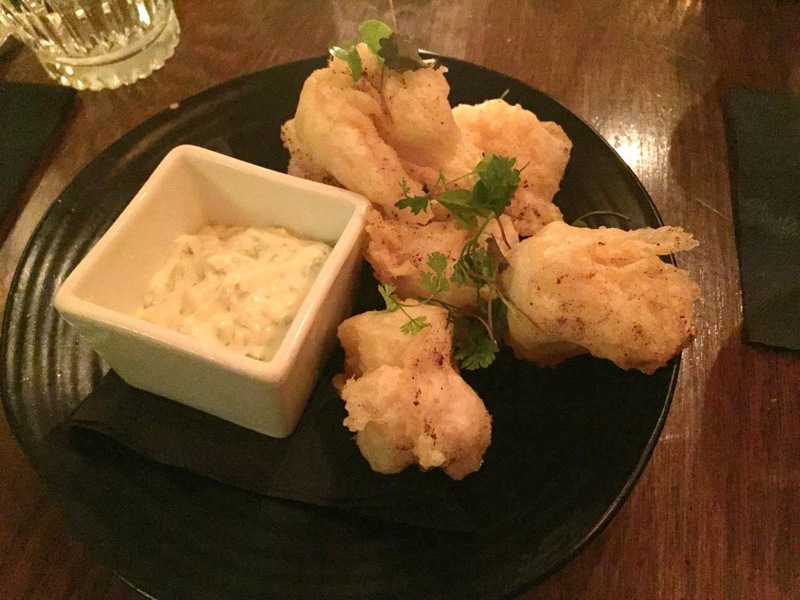 To start with I opted for the tempura king prawns with Thai mayo. And can I start off by saying that I was totally blown away by the huge portion size? The tempura batter was light and crisp - just as it should be. The prawns were so tasty and the Thai mayo was a delicious, slightly spicy, accompaniment. It was a lovely start and definitely something I'd reorder if I were to visit again. 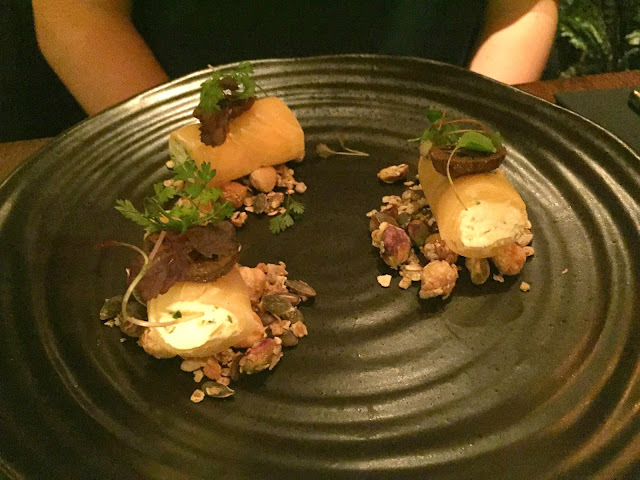 Sarah's choice was the golden beetroot and goat's cheese mousse which comes served with savoury granola and pickled walnuts. This was such a beautiful dish. Not only was it really thought out in its presentation but there were so many different flavours and textures that worked together so well. Carrying on with a seafood theme for the evening I ordered the beer battered Scrabster haddock, hand cut chips and tartare sauce. Fish and chips is the ultimate pub grub meal for me and Elements definitely ticked the box. I was totally defeated by the huge portion size yet again. The fish was so succulent and tasted so fresh. 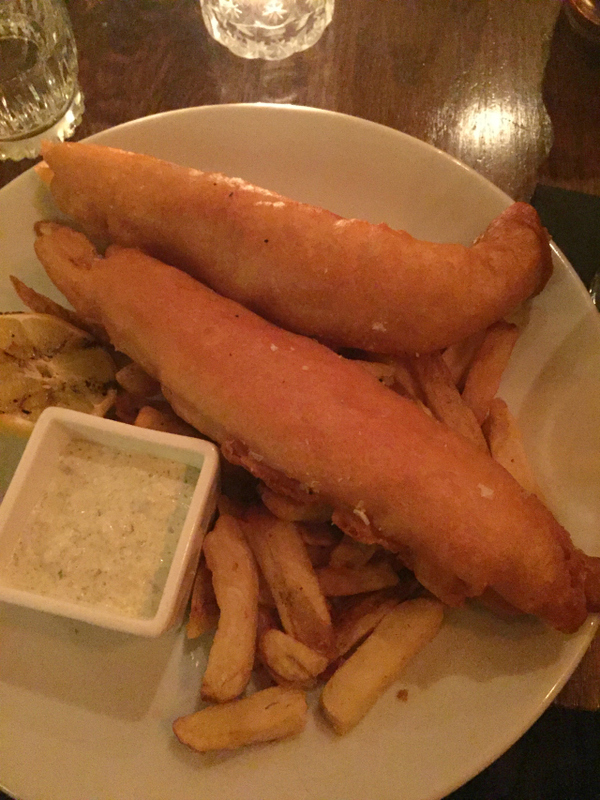 I was a little worried about eating two battered courses in a row but the beer batter was lovely and not too heavy at all who am I kidding? I'm Scottish. Batter is in my blood. The chips were also absolutely delicious and you could tell that they were homemade. Nothing ruins a great meal when you eat at a nice restaurant and they serve generic oven chips! 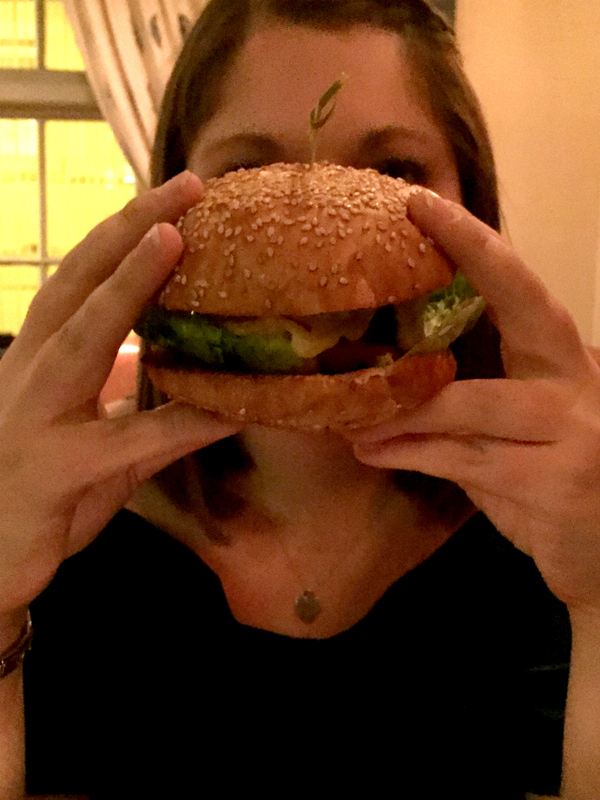 Sarah opted for their Perthshire beef burger which comes with chips and a tomato relish. Additional toppings of haggis, bacon, cheddar or blue cheese are available so she decided to have some cheese. This was a really fresh, burger and obviously, Sarah and I both enjoyed the chips. There are so many burger places in Edinburgh these days but this was a high-quality contender. Despite being really full neither of us could turn down dessert. 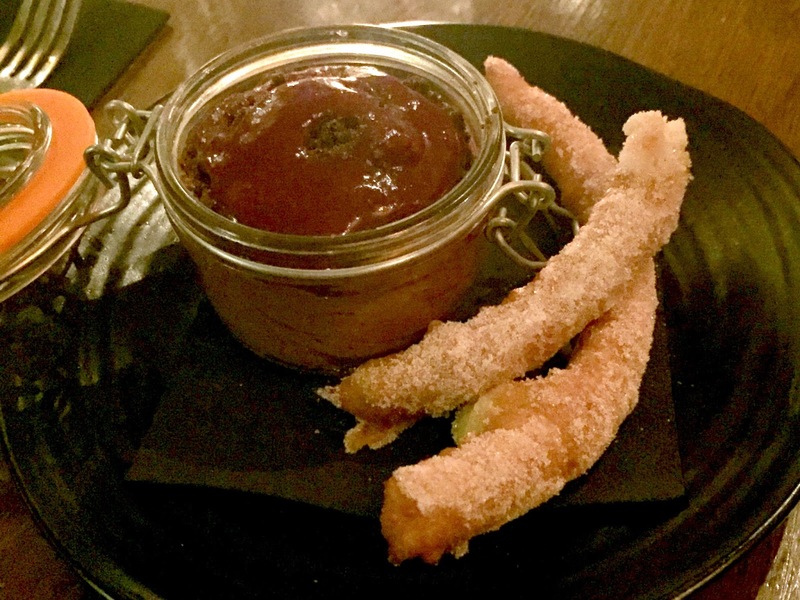 I opted for chocolate mousse with chocolate crumbs, cherry coulis and churros. It was an absolutely delicious dessert. The chocolate mousse was so smooth and creamy. I dipped the warm, fresh churros into the mousse and it was just the perfect combo. 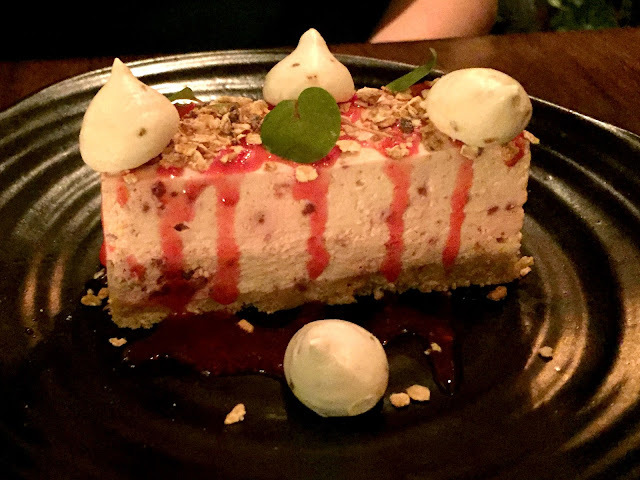 Sarah's dessert of choice was the cranachan inspired cheesecake. With an oat base, whisky, raspberries and bee pollen meringues. We did note that one of the meringues seems to have a little smiley face on it! Sarah said that this was a really tasty dessert and that it felt really Scottish. 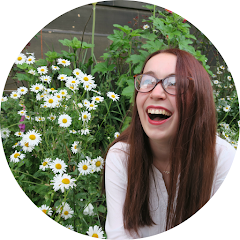 We both agreed that Element would be an excellent restaurant for anyone visiting Edinburgh and wanting to eat some really Scottish food as the menu is very diverse and has a lot to offer. Element can be found at 110-114 Rose Street and you can view their menu on their website.